Divine with Wine: Beverage Tasting Institutes Award Winning Wines! Beverage Tasting Institutes Award Winning Wines! WineShop at Home's Somersville Cellars Red and White Meritage were awarded World Wide Championship metals this week! Call me now before these wines sell out! These are two of my FAVORITES! If you haven't tried them yet, lets schedule a tasting soon. 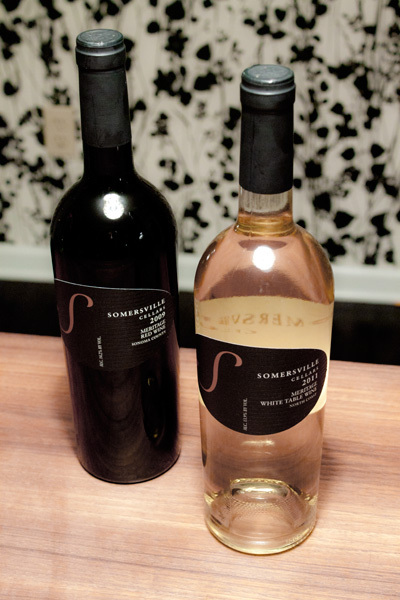 Both Somersville Cellars 2011 White Meritage and the Somersville Cellars 2009 Red Meritage are currently in one of the tasting samplers! The Beverage Testing Institute, founded in 1981, awarded a GOLD metal to the Somersville Red Meritage (Rating 90 points: Exceptional) and SILVER metal to the Somersville White Meritage (Rating 86 points: Highly recommended).